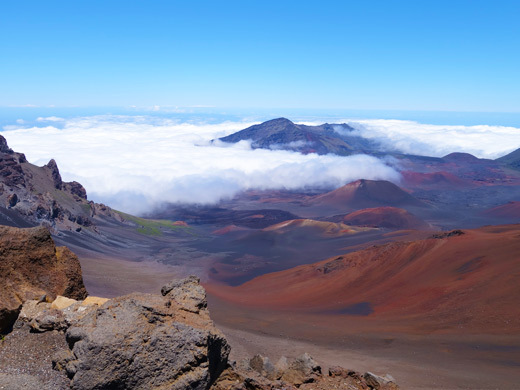 The inactive volcano, Haleakala, on the island of Maui, provides a nice day trip for vacationers. At the top is Haleakala National Park, offering trails for hiking, and beautiful views of the island below. It's an easy, yet twisty, two hour drive from major resort locations. The scenic drive passes through several climate zones. It's fun to stop occasionally to note cooler temperatures and changing plant life that are part of each area. You may even be tempted to visit one of the roadside stands along the way. Once at the entrance to Haleakala National Park, be prepared to pay an entrance fee. Golden Eagle, Golden Age and Gold Access Passports are honored here. The park offers several informational programs in the park, daily, and at night, in summer. Guided hikes are also offered. Calling the Ranger Station at 808-248-7375 will provide information on what is happening on the day you visit. In addition, there are opportunities within the park for downhill biking, guided hikes, and horseback tours. These are operated privately, and bookings can often be arranged with your resort. 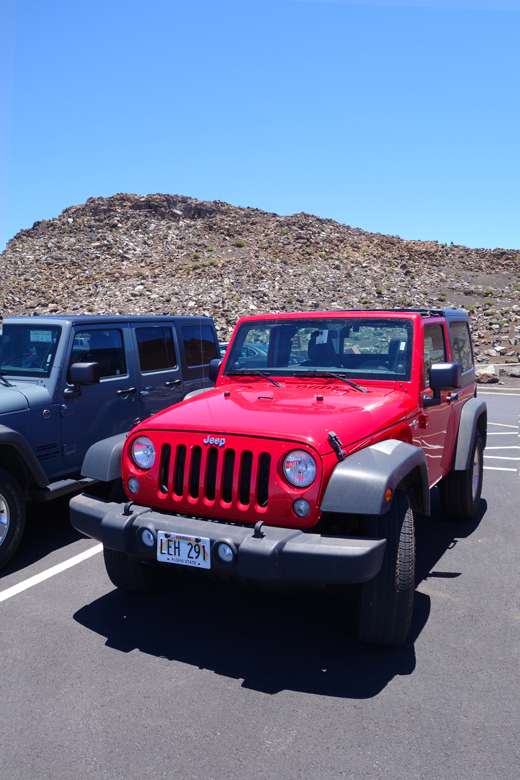 For those who wish to remain in your rental car (it is much cooler high on the volcano-- between 40º and 65º) an 11 mile drive takes you from the entrance and Park Headquarters to the Visitor Center. There are scenic overlooks along the way. Plan to spend at least two hours in the park, once you reach the summit. Just inside, is a route to Hosmer Grove, known for excellent bird-watching opportunities. With additional stops at Park Headquarters and the Visitors Center, you may spend all day at Haleakala National Park.